Harvest Gold Memories: Captain & Tennille: "Love Will (Not) Keep Us Together", or Has It? Captain & Tennille: "Love Will (Not) Keep Us Together", or Has It? In 2014, Toni Tennille (her real name is Cathryn Antoinette) announced to the world that she was divorcing her longtime husband Daryl Dragon. Mr. Dragon was the (largely) silent piano player accompanist and sea captain hat-wearing part of the duo, which was largely a showcase for Toni Tennille. The couple's separation was somewhat surprising given that they were married for 39 years. But she was always the better-known as a half of the 1970's duo "Captain & Tennille", and the duo released a string of chart-topping pop-hits during that era, with perhaps the best-known of those songs being "Love Will Keep Us Together" (apparently, that was not meant to be) which was actually a cover of Neil Sedaka's and Howard Greenfield's song, which reached #1 on the Billboard Hot 100 singles chart nine weeks after its 1975 debut, and went on to win the 1975 Grammy Award for Record of the Year. Indeed, the couple was reportedly discovered by Neil Sedaka himself at The SmokeHouse restaurant in Burbank, near NBC, which apparently remains in operation as of 2017. Other Captain and Tennille hits included "Do That To Me One More Time", a cover of "Shop Around" and the über-annoying single "Muskrat Love" just to name a few. The duo first appeared on broadcast television with a one-time ABC Primetime TV special which aired on August 17, 1976 entitled "Captain & Tennille Special". 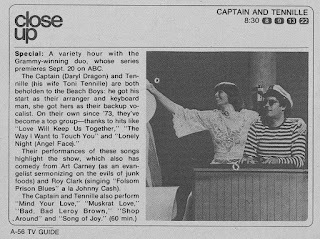 Evidently, that did well enough to warrant ABC giving them their own variety show series "Captain & Tennille Variety Show" which aired from September 1976 to March 1977 on Monday nights at 8:00 PM (opposite NBC's "Little House On The Prairie," and CBS's "Rhoda" and "Phyllis" comedy block), for a total of twenty episodes. The variety series was later followed by a syndicated talkshow called "The Toni Tennille Show" which ran from 1980 to 1981. My personal suspicion all along was that Toni Tennille had been bitten by the celebrity bug, and she made numerous guest appearances (often by herself) on the daytime television circuit, TV game shows and she even landed a few roles on television shows including on Aaron Spelling's "The Love Boat" and "Fantasy Island". But she was never going to win any Emmy's for her acting. All that said, as we learned several years ago in Toni Tennille's memoir/book "Toni Tennille: A Memoir" she suggested that the duo's marriage had been 'arranged' for them by their record label, which was A&M Records. She also gave interviews with the NBC Today Show and other television programs claiming that she was seeking something he just could not give her, namely a deeper personal connection. Although she was already a divorcee by the time she met Dragon, the fact that she remained married to him for 39 years in spite of that raised B.S. alerts for many. Tennille wrote that her mother, being a conservative Southern Baptist (Tennille herself was born and raised in Montgomery, Alabama before moving to California at age 19 with her family in 1959), wasn't pleased with the couple living together out of wedlock. Tennille surmised that "the record company was uncomfortable with it, too" (although the record company wasn't uncomfortable with other couples being unmarried, married to someone of another race, etc., as long as they sold records). The latter point was speculative on her part. Remember, this was in the mid-1970's, and numerous other Baby Boomer couples were routinely cohabitating at the time. One need look no further than the ABC sitcom "Three's Company" which first aired in 1977 as a vivid example (catch my post on that show at https://goo.gl/Jtobxe for more), whose entire premise was based on two single women and one single man who all lived together to share housing expenses. Although their relationships were strictly platonic (indeed, the characters all regularly dated other people), there was plenty of double entendre in the show. She claimed that a company publicist at A&M Records announced that Tennille and Dragon had married on Valentine's Day, which she said was surprising to the couple, who were apparently content to be living together as they had been for a few years. At the time, Toni Tennille had already been in one failed marriage to Kenneth Shearer which ended in divorce in 1972, and Ms. Tennille never really discussed how her devout, Southern Baptist mother felt about her divorce from Shearer, which was really no better or worse than unmarried cohabitation for Evangelical Christians). For that reason, I suspect that the couple was likely content doing gigs at local bars in Southern California before they later toured with the Beach Boys, for whom Dragon played the keyboard (it was Beach Boys lead singer Mike Love who reportedly gave him the nickname "Captain"). Tennille added nudging from their accountant, who said the couple would do "a lot better with taxes" if they were actually married helped prompt them to go Virginia City, Nevada and quietly marry in late 1974. News of the January 16, 2014 divorce filing by Toni Tennille, 73, from Daryl Dragon, 71, in Prescott, Arizona, also coincided with the release of Tennille's then-new memoir. That was subsequently followed by widespread speculation that the divorce may have been prompted (at least partially) by Mr. Dragon's 2009 diagnosis with Parkinson's Disease (she announced that on her own website) may have also had something to do with it. According to TMZ, the divorce papers filed by Ms. Tennille in Arizona described the marriage as "irretrievably broken." Arizona, like California, is a community property state; as well as a no-fault divorce state, thereby only requiring irreconcilable differences for a courts to grant a divorce. But TMZ also reported that the divorce filing also made "special mention about health-insurance coverage." But apparently a disclosure of that is required in Arizona divorce filings. Still, it's certainly not unheard of for couples facing health crises to divorce for solely financial reasons, so that the sicker spouse could legally deplete his or her assets and then qualify for health-coverage assistance from Medicaid. Although Tennille and Dragon were both Medicare-eligible at the time, its worth noting that Medicare doesn't cover long-term rehabilitative therapy, nor does it cover most kinds of at-home nursing care or assisted living. As I write this, there is still speculation that the couple may have divorced because they still love each other and were doing what they needed to do in order to preserve some portion of the wealth they'd built together while they still remain life partners. There is no law mandating that a couple must hate one another to be granted a divorce. Tennille, famous for her love of the spotlight, has remained fairly tight-lipped in the time that has followed, but she's also known to love her wealth and fame, which supported the notion of divorcing for largely financial reasons. In the time immediately following the divorce, the couple was reportedly still living together in the same house. Her announcement on NBC's Today Show can be seen by visiting http://on.today.com/1RRcVjE. In addition, she spoke with the television program Inside Edition which can be seen below, or by visiting https://youtu.be/ogPjvEKOEag. She claims that there was no "deep connection" in her marriage to 'The Captain' Darryl Dragon. Something about it just sounded very, very suspicious. 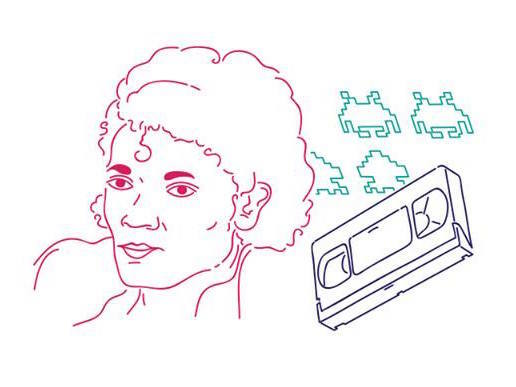 In the few years that have passed, the story has calmed down, and because the musical duo are older and no longer releasing music as regularly they previously did, nor are they everyday fixtures on television, it has largely fallen off the radar. Still, in a strange way, I think that nearly everyone can understand why a seemingly happy couple would suddenly divorce to help them deal with the Captain's declining health, as that's something many older people have to deal with. Several years prior to his death, my own grandfather "sold" his home to his two children (my father and uncle) so that if he later needed nursing care, his legal assets would already be depleted, plus it saved my dad and uncle from having to deal with annoying probate court when he actually passed away. It was a way around the system, as many CEO's do all the time with special compensation packages, generous health benefits, stock options, etc. In other words, its really the American way. In the end, while I empathize with Mr. Dragon's health concerns, this couple should be more than capable of getting proper care for him without this kind of legal trapeze given that in the 1970's, they had a string of musical hits and television appearances, and were no doubt paid very well for that (likely better than more ordinary Americans). Author P.S., January 2, 2019: The Arizona Republic newspaper reported this afternoon that Daryl "Captain" Dragon — half of the legendary music duo Captain & Tennille, died at a hospice in Prescott, Arizona. He was age 76, and officially died of renal failure. His former wife and musical partner, Toni Tennille, was by his side. A classically-trained pianist, Mr. Dragon performed at times with the Beach Boys before meeting Toni Tennille in the early 1970's. The couple separated in 2013 and divorced the following year, but they remained close, according to spokesman Harlan Boll. Author P.S., April 19, 2019: Realtor.com reports that Toni Tennille is reportedly close to a sale of the home that the couple shared in Prescott, Arizona for $425,000. Evidently, the couple moved to Prescott in 2008, but said that after their marriage ended in 2014, Toni Tennille moved to Florida, reportedly to be nearer to her family, many of whom remained in Alabama where she was raised. In 2016, she released a memoir detailing their marriage, which in which described the union as empty and loveless, although many saw that as a weak pretext in order to secure the duo's fortune by enabling their assets to be split in divorce, then enabling Darryl Dragon to deplete the remains of his assets, thereby enabling his long-term care to be paid for by taxpayers through Medicaid. In 2017, the Arizona Republic reported that Tennille had reunited with Dragon in Prescott. She wrote on Facebook at the time about her return to Arizona "I finally realized that the best friends I had ever had and loved are back in the west! They are my 'tribe'. I missed them with all my heart. I have close and trusted friends back in northern Nevada, and an amazing circle of funny, loving and caring friends I left back in Prescott." It is unclear where Ms. Tennille plans to live after selling the house.